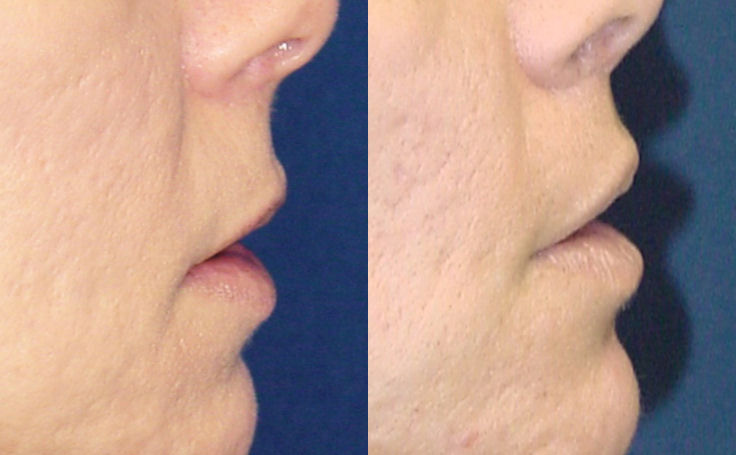 This patient in her 40's underwent a Lip Lift with Dr. Rodriguez in Baltimore to remove a small amount of space between her nose and upper lip. Dr. Rodriguez performed a Lip Lift on this woman in her 40's. He removed a small amount of space between her nose and her upper lip, right near the crease of the nose. The patient is seen here just a few days following the lip lift surgery. 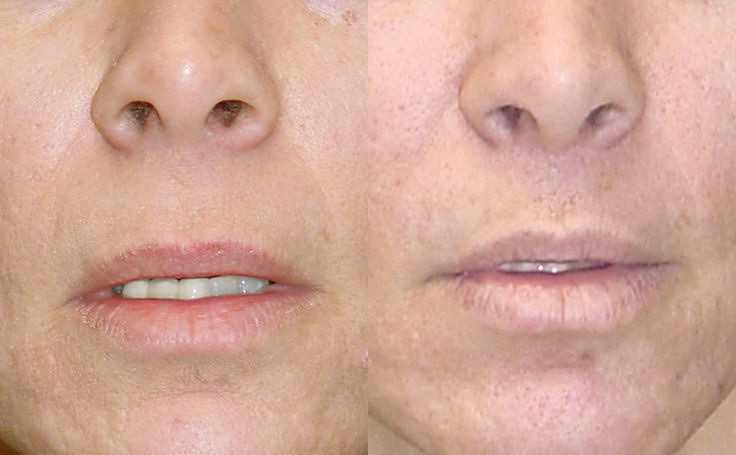 The lip lift gave this patient a dramatic transformation in her overall facial appearance. The Lip Lift shortened the space between the nose and the upper lip. The result was a softer, happy, and more youthful appearance. To learn more about the lip lift, as opposed to the Lip Augmentation Procedure, see Dr. Rodriguez's blog post, The Lip Lift : more youthful lips without the use of fillers.